Maybelline launched Gold Digger Collection in their Colorshow nail polish a while back and I will be reviewing a few of their shades in a series of posts. 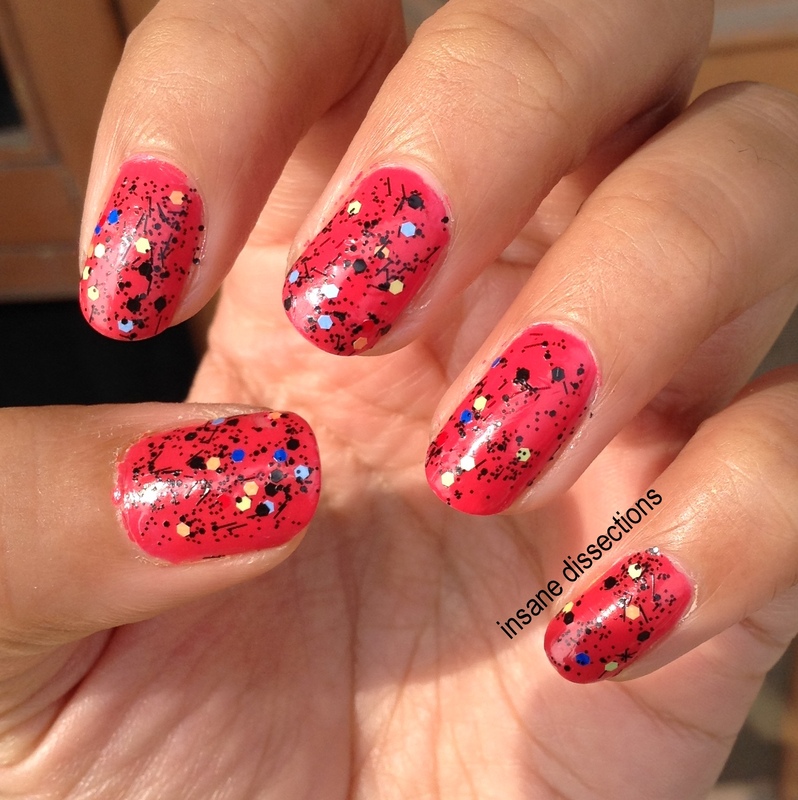 Here I am reviewing a gorgeous top coat from this range ~ Bling Thing 902. Bling Thing 902 is transparent nail polish with confetti of glitters. It consists of black and gold glitter in 3 sizes- small dot sized, medium hexagons and big chunky golden hexagonal. The big hexagons have holographic effect. 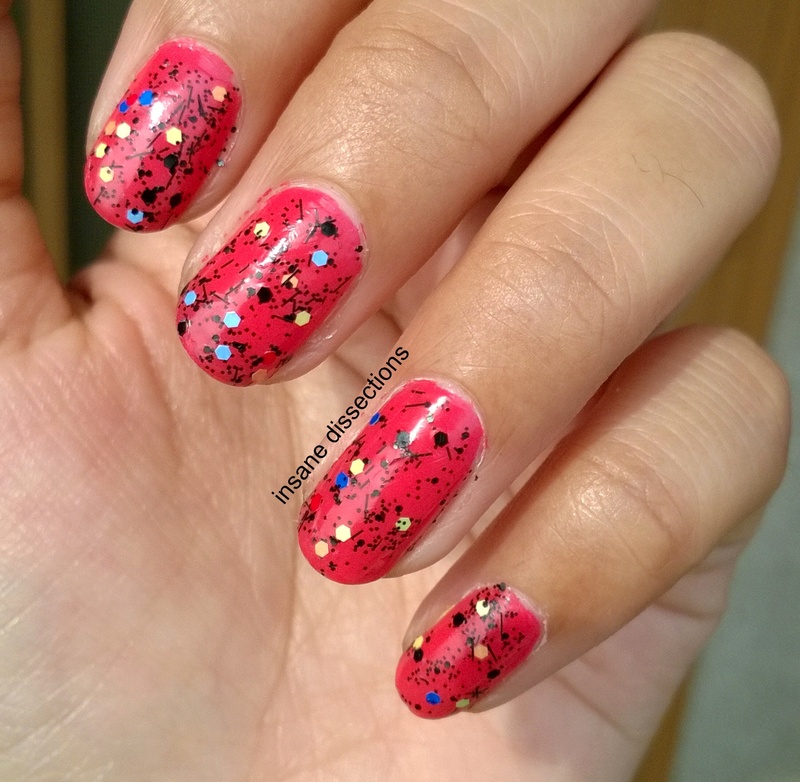 One coat is sufficient to apply on top of another nail polish color, but you can apply two coats as well if you want to go overboard with the glitter and bling. In the photos below, I have applied 2 coats on my index finger and 1 coat on the rest. The packaging is standard packaging of their Colorshow nailpolish. It comes in cylindrical glass bottle with black cap. The shade name is engraved on top of the cap. The brush is decent and picks up enough glitter to be applied in 1 coat. This nail polish is loaded with the glitters which remain suspended and does not settle down at the bottom of the bottle. The glitter does not tug and the nail polish settles into a smooth finish. 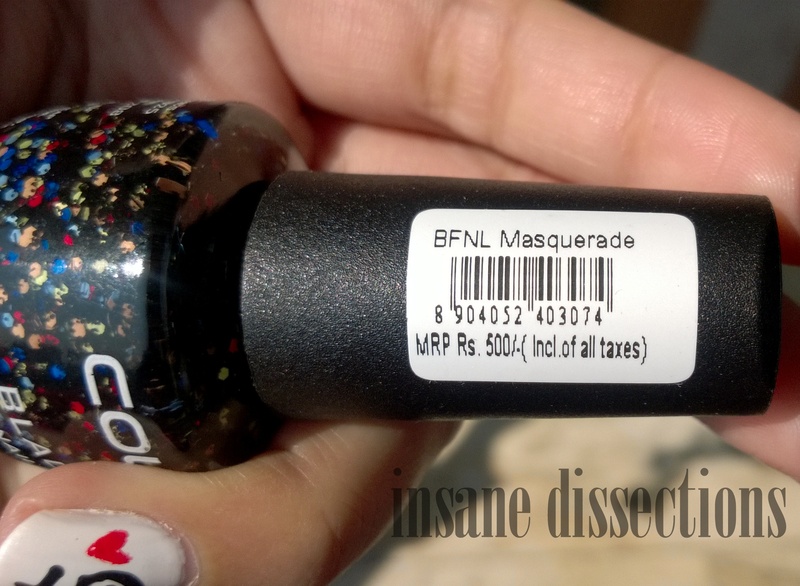 This is one funky confetti nail polish which can jazz up your nails in no time. 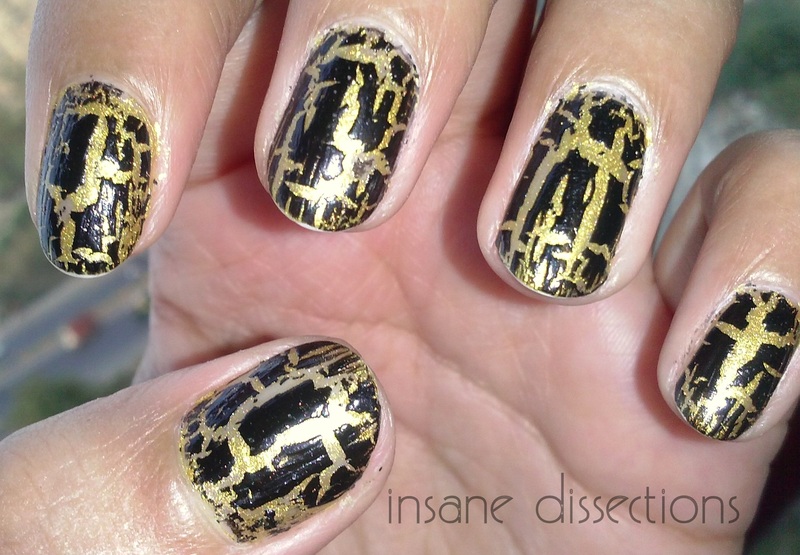 Crackle nail art is a lazy girl’s manicure saver. This is one of my favorite innovation in nail art. 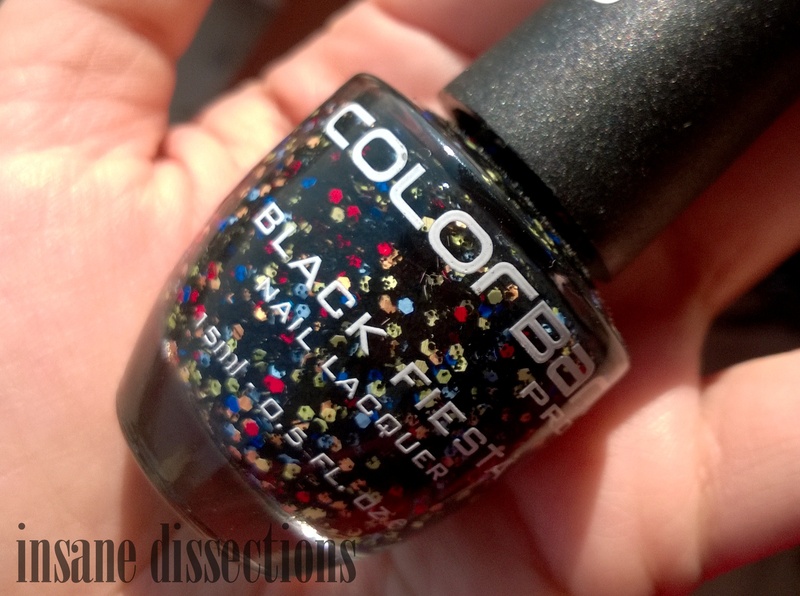 I was browsing through my old archives and I stumbled on this nail polish from Colorbar. 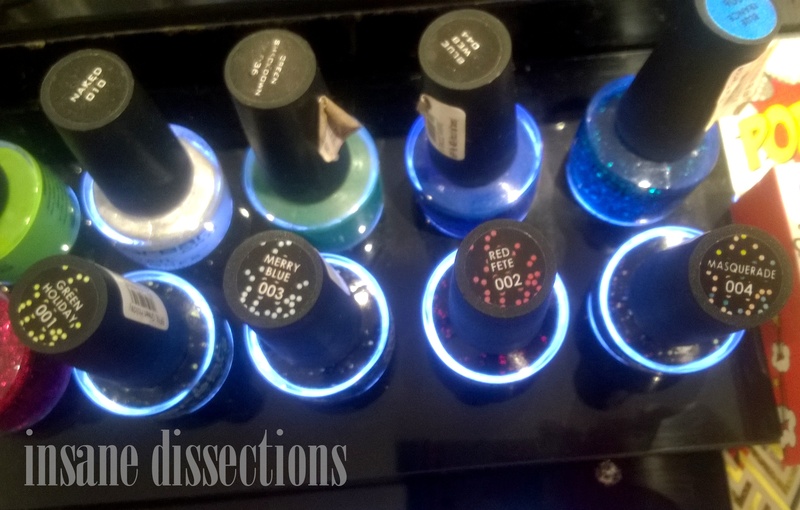 Now days the nail polishes have evolved and almost every brand have something or other for nail art. But 2 years back crackle (or shatter, whatever you like to call it) was really ‘in’ and it was the only polish even remotely related to nail art. I bought it 2-3 years back and because this nail polish is still available at the counters, I thought I would put my old photos to good use. 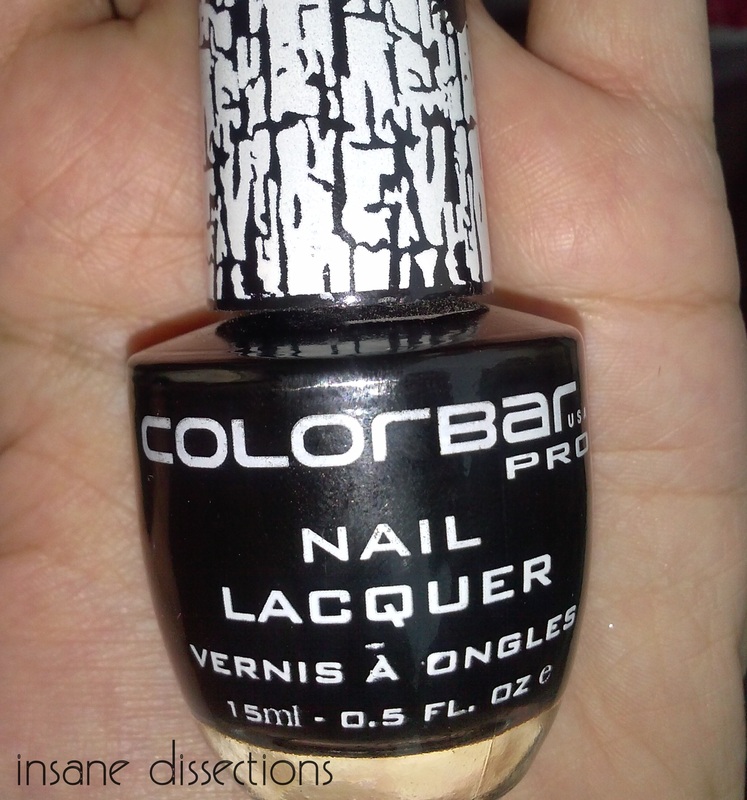 Colorbar was the first brand to bring in crackle nail polish. It is applied on top of another base color to create this shatter effect. I think every girl should have one crackle nail polish. And black color is the safest bet as it will go well with an array of colors. Plus, it is a perfect nail art for Lazy girls. 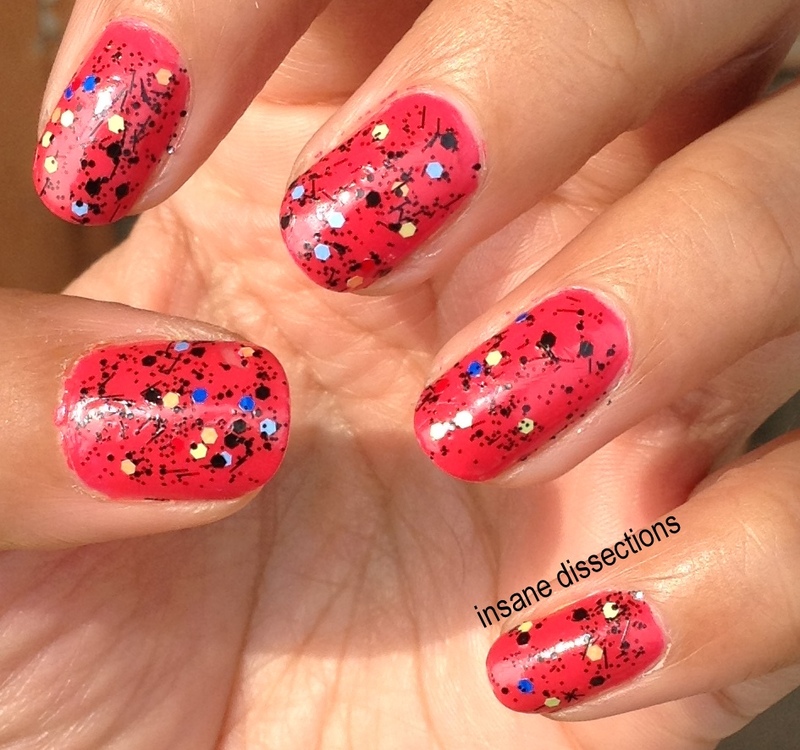 For more nail art for Lazy girls, check another great polish HERE. This nailpolish comes in a classic Colorbar Pro bottle which is a fat circular bottle (similar to OPI). The glass bottle is clear and the cap has shatter effect to indicate that it is a crackle polish. The brush is long and decently wide. The quantity is enough and will easily last atleast an year, that too if you apply it regularly. Unlike normal nail polish, crackle nail polish is slightly on thicker side. Colorbar Pro crackle nail polish dries into matte finish. 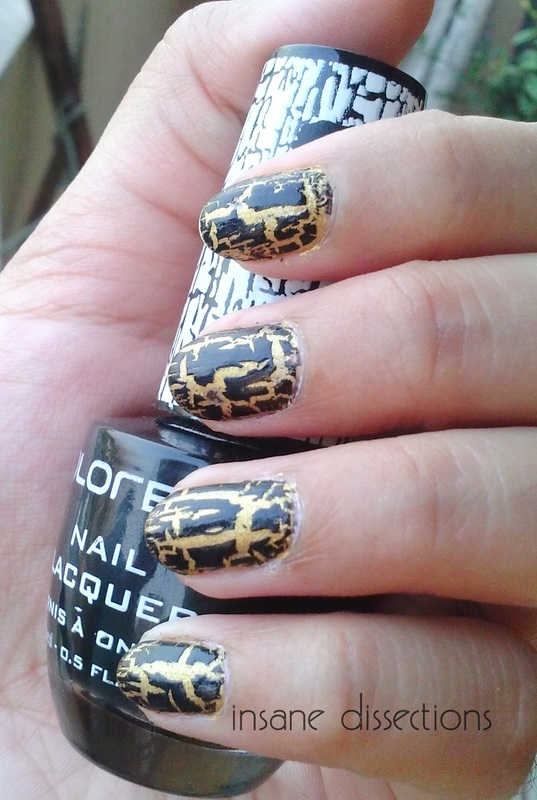 The crackle nail polish dries into a unique pattern everytime. The crackle effect depends on how thin you apply the coat. If you apply a thin coat, there will be many cracks, but not very widespread. If you apply a thicker coat, the number of cracks may be less but they will be apart enough for the base color to pop. I like to apply a thick layer. 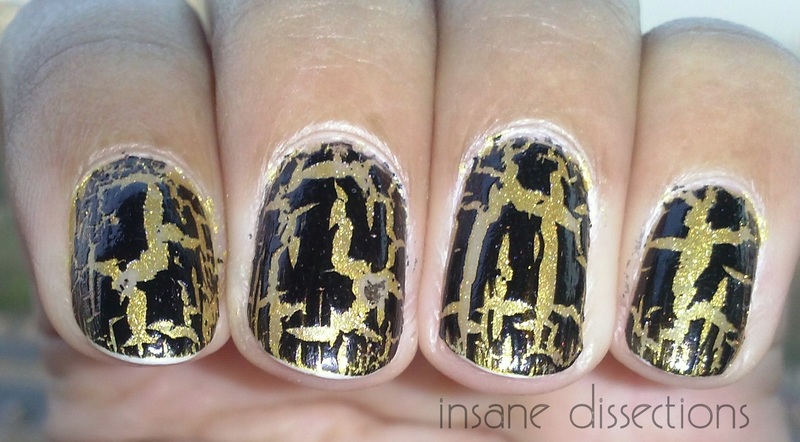 Crackle nail polish is different from other nail polish mainly because it dries differently. This is because ethanol is added to the polish which makes it dry quick and uneven. So, as it dries rapidly and unevenly, the nail polish applied on nail shrinks giving the appearance of cracks and revealing the base color underneath. Colorbar Pro crackle top coat dries completely within 3-5 minutes, depending on the thickness of the coat applied. I like to apply a clear nail polish over the crackled effect as it dries matte. It lasts 4-5 days before chipping. 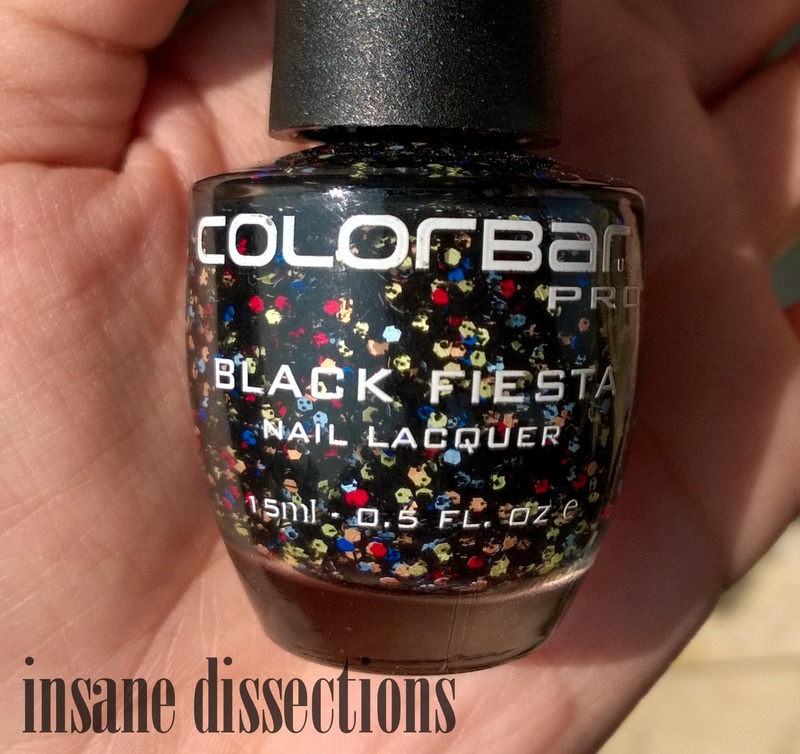 One word of caution though, avoid doing multiple coats of this polish, and if you feel the coat is not thick enough to your liking, apply another coat really fast before the crackle effect of previous coat starts to show. I have applied a thicker coat of this polish that is why the cracks are wide. Notice the different shatter design on each finger. Overall, I love this nailpolish. 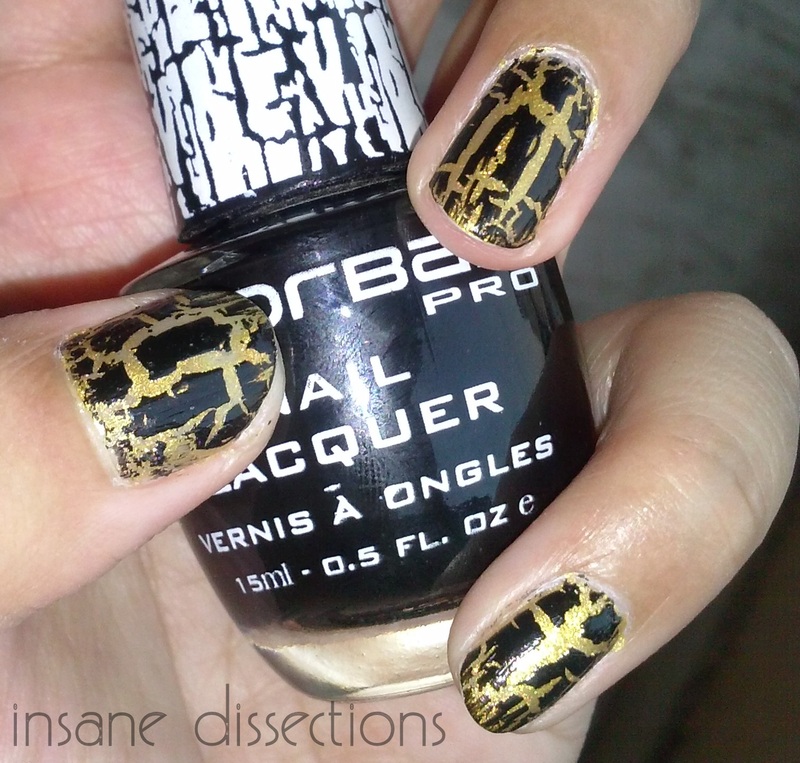 Colorbar Pro crackle top coat dries quick, gives a good crackle effect and wears well. Easy peasy, effortless and fun nail art in no time. Dries into matte finish which can be made glossier by adding a top coat of clear nail polish. However, it is a bit pricey.